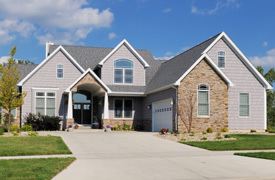 Your home represents a significant investment, and it may be your most valuable asset as well. Whether you live in a house or condominium, you need a homeowners policy that will help you quickly get back to your normal routine following a fire, burglary or other disaster. As a locally owned and operated agency, North Atlantic Insurance Associates understands the specific risks and concerns facing homeowners in the Portland area, and we work diligently to find policies that meet our customers’ needs. Get your free online quote today. To learn more or ask questions, you please call our office during business hours.